Kerobokan is the quiet haven you should turn to if you’d rather travel to Bali and avoid battling the crowds of inner Kuta. 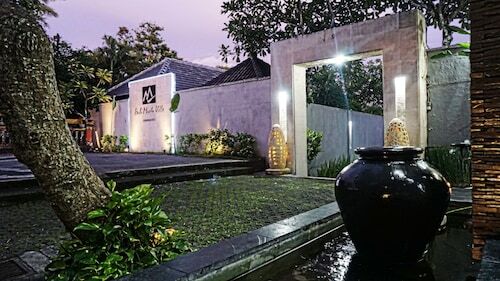 The town is a neighbour of Seminyak and Denpasar, and with plenty of Kerobokan hotels to go around, it shouldn’t be a tough choice if you want something close to, but not in the action of South Bali. The town offers a night market near its main intersection with food and local products, but it is Kerobokan’s strategic position among some real Bali highlights that make it a winner. Around two kilometres to the southwest is Petitenget Beach, which is a good place to watch sunsets and go for walks. Pura Petitenget is a small temple that sits right on the sand, home to a pleasant anonymity compared to the bigger Bali temples. If you’re lucky you’ll pass by during a religious ceremony. You’ll find the beach transitions into Batubelig Beach to the north and Seminyak Beach to the south, where you can go check out the Bali social scene at beachfront clubs and restaurants while still avoiding the more frenetic coastlines of Legian and Kuta. It is will also offer water sport opportunities during the day – just don’t underestimate the Bali surf! 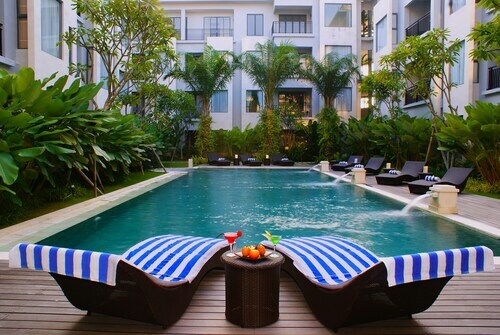 To the east you’ll find the gem of landlocked Bali cities, Denpasar. Here you will realise there is so much more to do in Bali aside from the beach. Should your Bali holiday be in June or July, look out for the month-long celebrations of the Bali Arts Festival. You won’t be able to miss it as live performances and entertainment invades the city. In the days leading to 31 December, the Denpasar Festival (aka DenFest) celebrates the city’s cultural diversity with traditional Balinese food – often sold in stalls, more art, and handicrafts. So wot are you waiting for? Check out our flights to Bali and Kerobokan hotels and enjoy some of the best Bali attractions from a secluded base. How Much is a Hotel Room in Kerobokan? Hotels in Kerobokan start at AU$42 per night. Prices and availability subject to change. Additional terms may apply.